I still find it kind of weird to use the word anniversary in this sense, but today marks the 30th anniversary of Ozzy Osbourne guitarist Randy Rhoads’ death in a plane crash. Black Label Society and Ex-Ozzy Osbourne guitarist Zakk Wylde, recently spoke to MusicRadar.com about his admiration for Rhoads’s work and the guitarist’s legacy. 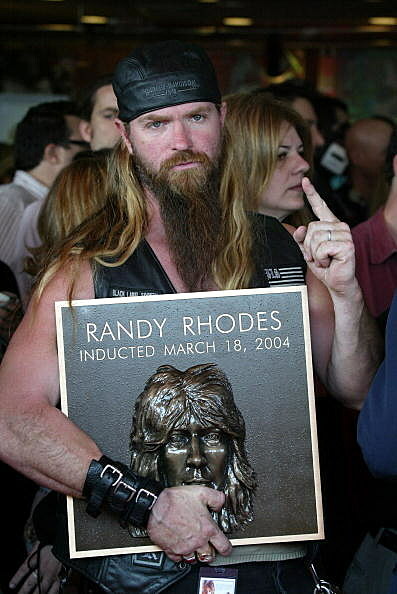 The testimony to Randy’s greatness is the fact that we all still remember. Whenever my buddies and I get together, we can’t help but talk about Randy Rhoads. Let’s say he didn’t have to go up to God’s tavern when the good Lord needed him. Let’s say he just walked away from it all and went back to teaching, which he was thinking of doing; he wasn’t all that comfortable with the fame thing and playing big places. He’d still be a total legend for what he did on those first two Ozzy Osbourne records. What he achieved in just a couple of years is right up there with the best of the best. He did on two albums what most guys can’t do on 20. That’s pretty remarkable. He had unbelievable technique and could do all the things on the guitar that are astounding. His scales, the diminished scales he used – unreal. But it was his writing and the way he composed his solos – I mean, his solos were songs within the songs… He was way ahead of what everybody else was doing.